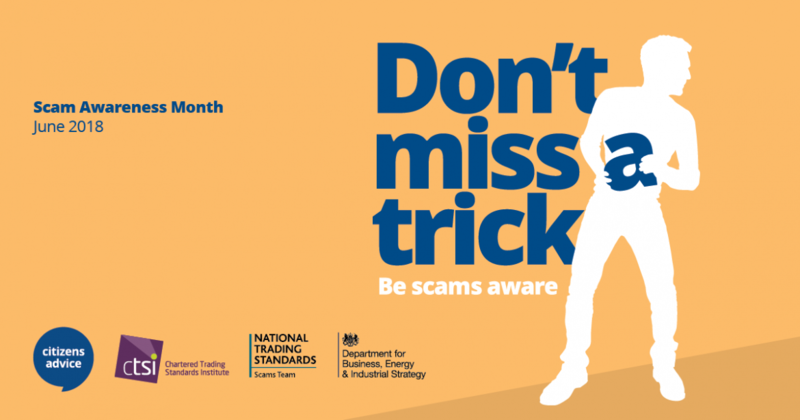 Make sure you ‘Don’t Miss a Trick’ and fall victim to a scam – that’s the advice from Knowsley Council’s Trading Standards team during Scams Awareness Month in June. The team will be visiting scam victims during the month offering advice as well as helping people be on their guard and know how to spot scams. Since January 2017 Knowsley’s Trading Standard officers have received 31 scams referrals, 17 of which have come directly from the National Scams hub. There are also growing concerns about the increasing number of financial and legal scams. Nationally, the Citizens Advice Bureau had 1200 financial and legal scams reported to them in the year ending April 2018 – a 6% increase on the year before. The average loss for these scams was £330. Cryptocurrency – Fake websites claim to offer cryptocurrency investments, like Bitcoin. Often, scammers will pretend that household names have endorsed the company to give it some legitimacy. Phoney shares – Scammers pose as stockbrokers and get you to place bets on whether phoney shares will rise or fall within a certain date. They’ll promise big returns. You should check if they are on the FCA Register and not on the warning list of firms to avoid. Holiday timeshares – Scammers promise to buy your membership off you for an advanced fee. Bogus solicitors – A scammer will intercept emails from a legitimate solicitor and pose as them. Scammers often strike when a property is being exchanged on and get the funds diverted to their bank account instead. Check if they are on the Solicitors Regulation Authority to see if they are genuine. Cllr Shelley Powell, Knowsley’s Cabinet Member for Communities and Neighbourhoods said: “Scammers can make for convincing white collar professionals, especially online, and are skilled at persuading people they are legitimate. The stakes are high with financial and legal scams as you can end up losing your savings or pension fund, which can put your long-term financial stability at risk. Scams Awareness Month is a national campaign encouraging people to report and talk about scams. For more information about scams visit the Citizens Advice Bureau website. Tom (not his real name) is an 80-year-old Knowsley resident who became the victim of scammers and over a three year period was conned out of tens of thousands of pounds. Tom lives alone, with no dependents, family, friends or support system. By the time an officer from Knowsley Trading Standards Service visited, he was surrounded by scam mail and parcels containing various items such as vitamins, health drinks, unidentified medicines, ornaments, toothbrushes, low value trinkets and talismans. The officer discovered Tom had been sending money – both cash and cheques – to various organisations, in small but multiple amounts. He had started by sending money to various charities which resulted in his details appearing on a ‘suckers list’ and him receiving more targeted scams from all over the world. Most of the mailings he’d responded to were catalogues and brochures which guaranteed that massive cash prizes would be won by those who ordered goods from them – but the prize was never forthcoming. 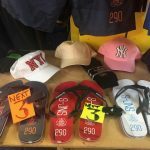 He received regular phone calls from the various scammers to confirm the win and to request bank details and payment for more worthless goods. Tom’s estimated financial loss was around £70,000 over about two to three years but it’s likely this was much higher. 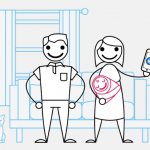 Tom was subsequently diagnosed with dementia, with a Court of Protection order sought and further Trading Standards interventions saving him from further financial loss. A large number of charities and businesses in the UK and abroad received warnings, and the intelligence gathered was supplied to the National Scams Hub and to Trading Standards organisations in the countries operating the scams.